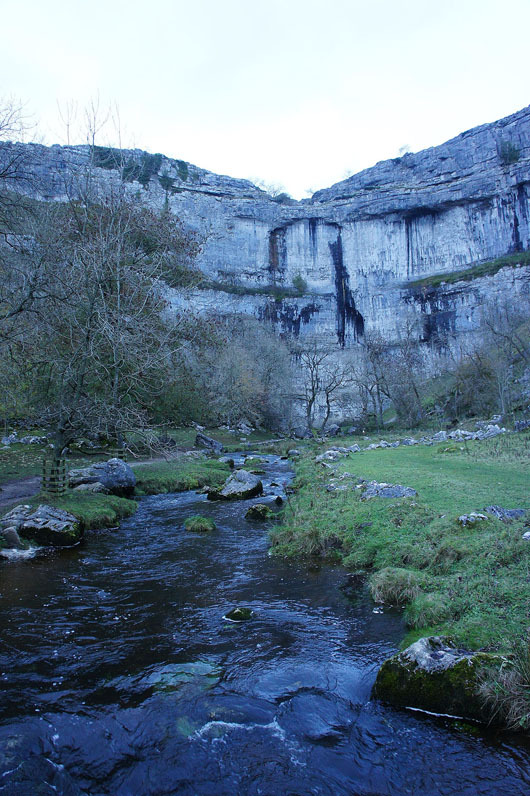 I've taken another Friday and Monday off work to make a long weekend and since the forecast is set fair for today I decided to head to Malham for a walk. 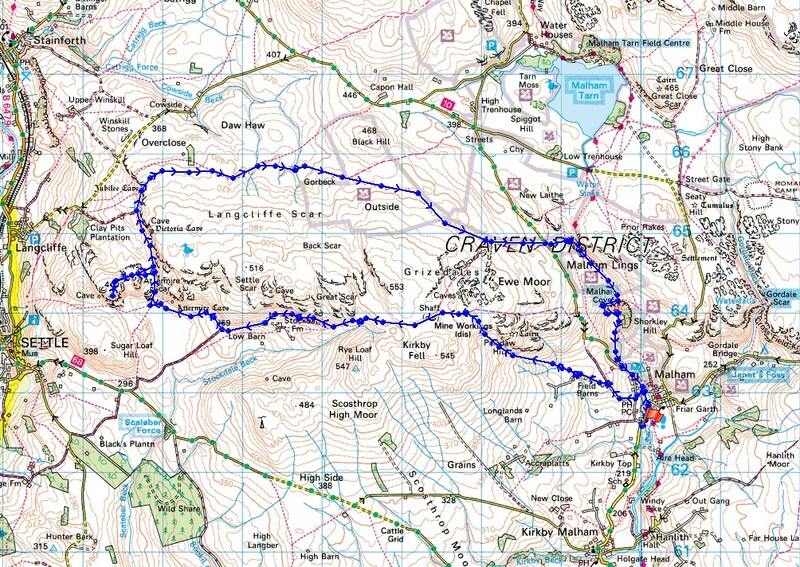 The route I decided on was a slightly shorter version of one that I did a few years ago. 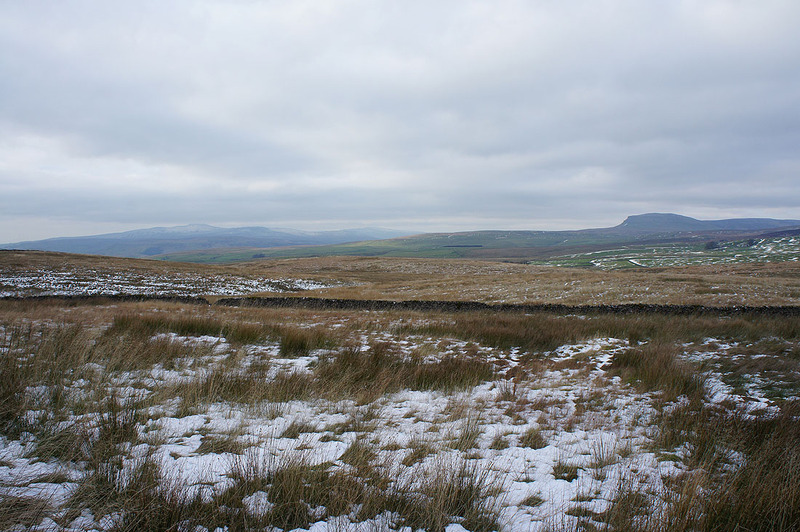 Then I included the tops of Kirkby Fell and Rye Loaf Hill. 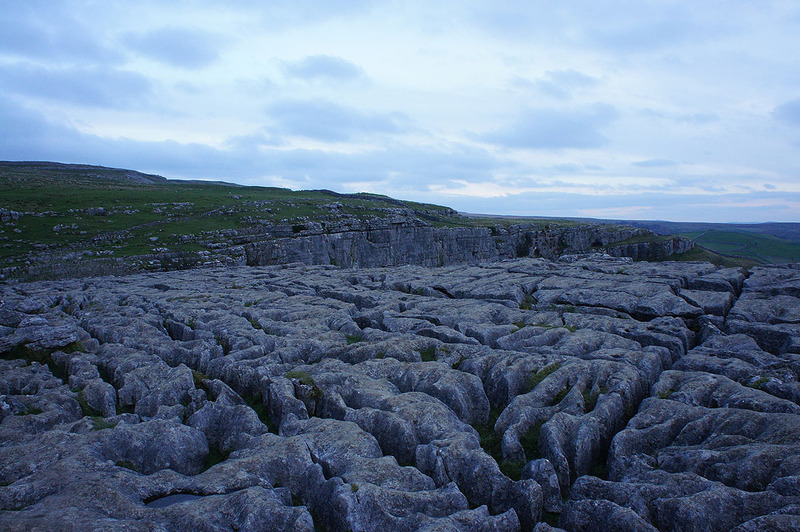 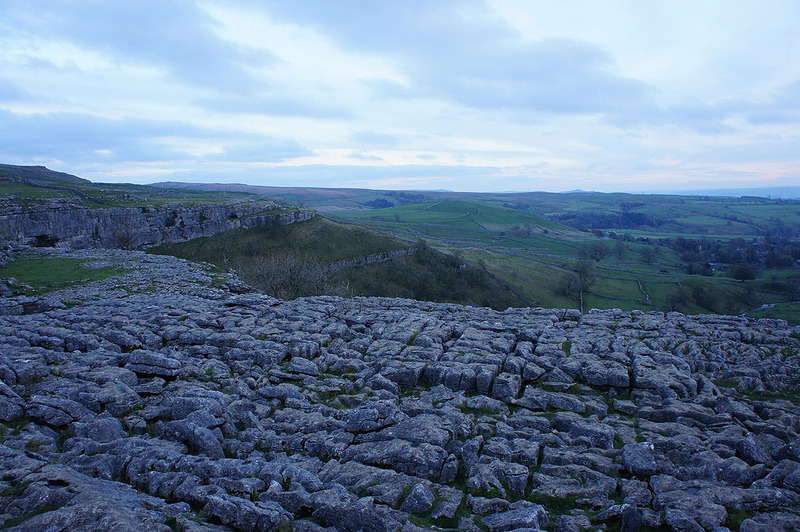 No time for them today though, I was pushing it for time as it was and I arrived back in Malham as it was going dark. 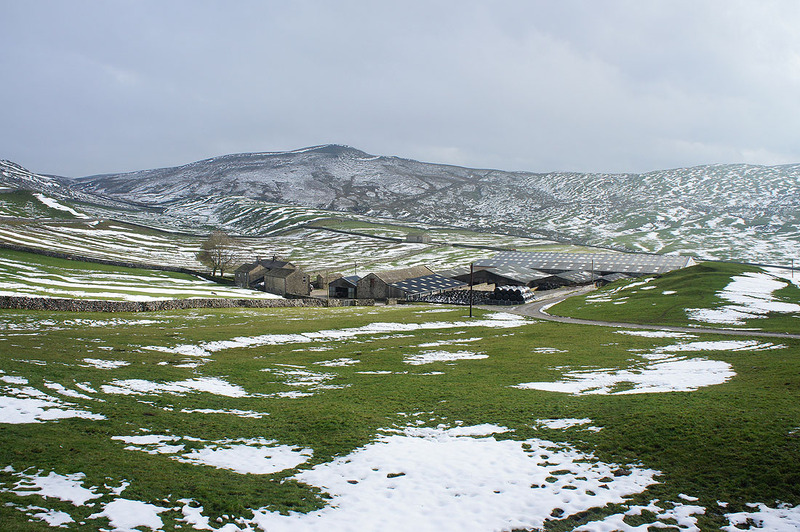 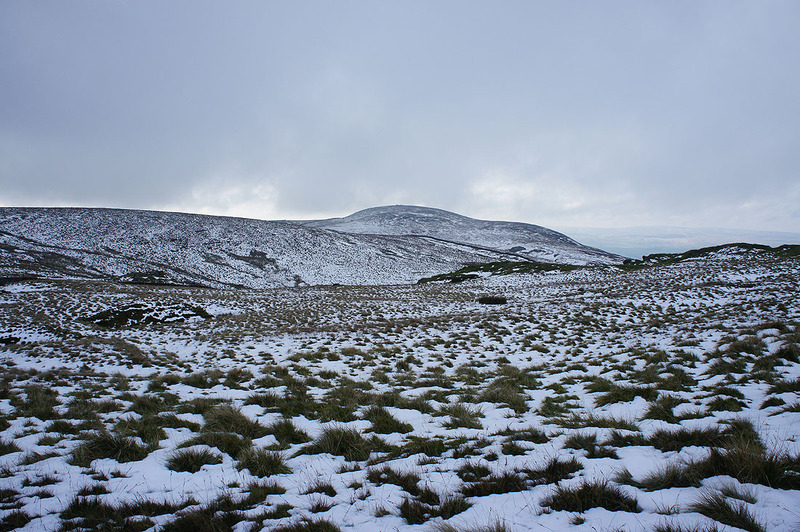 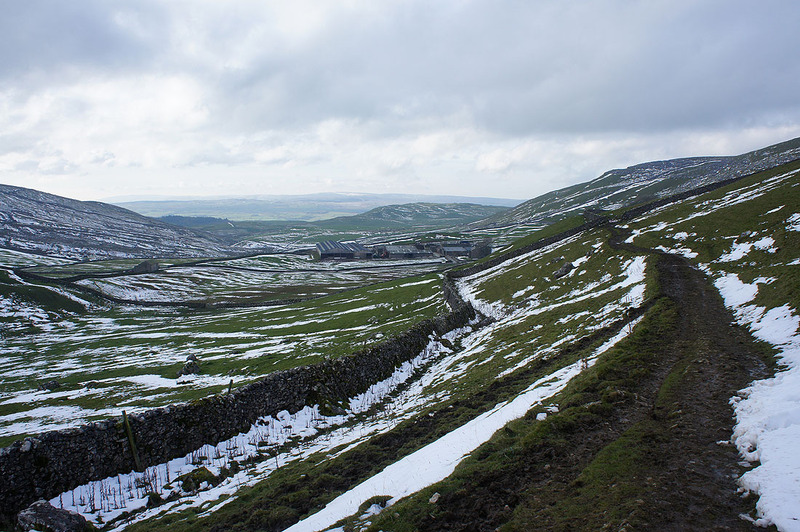 Early season snowfall had left a cover on the hills earlier in the week but milder temperatures had already started to melt it and there was a continued steady thaw throughout the day. 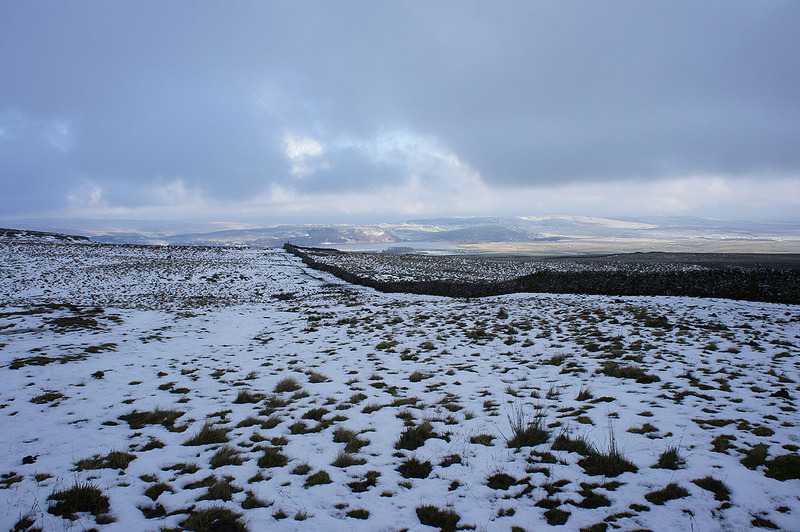 There was a bit of sunshine to enjoy during the late morning and early afternoon ahead of clouding over in advance of overnight rain. 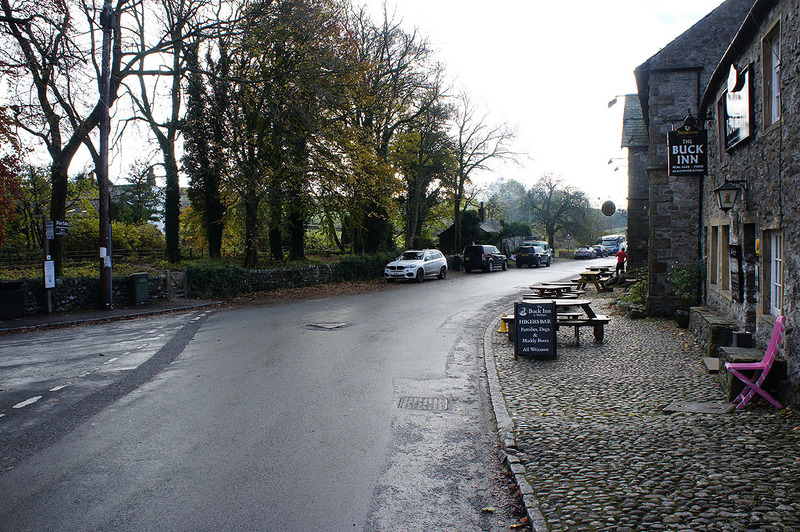 After parking in Malham I walked north into the village before turning left onto the track and bridleway of Long Lane. 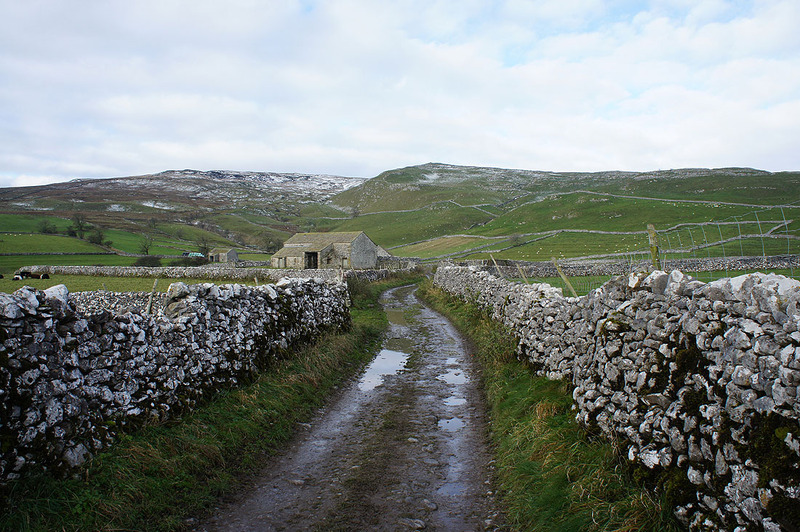 I followed this uphill until I reached a fork where I took the left hand track past Burns Barn and Field Barns. 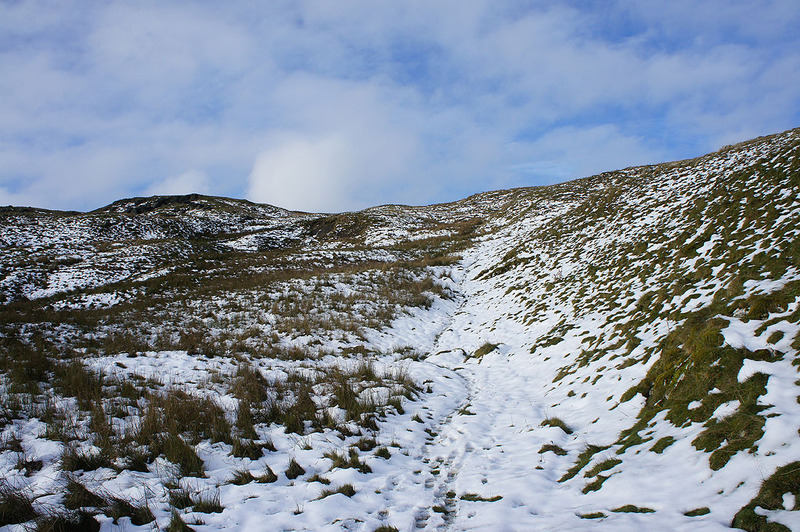 A footpath left this track on the right to head up the side of Pikedaw Hill to where it meets the bridleway from Cove Road. 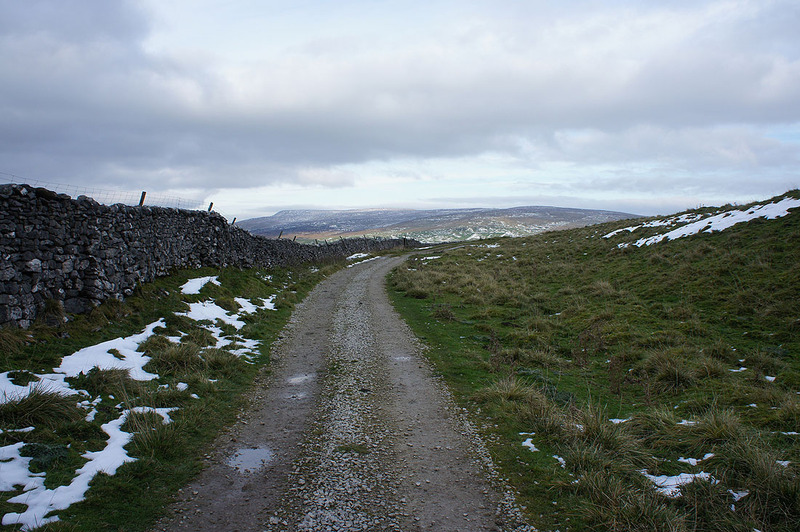 I then followed this bridleway west (with a brief detour to Nappa Cross) and down into Stockdale. 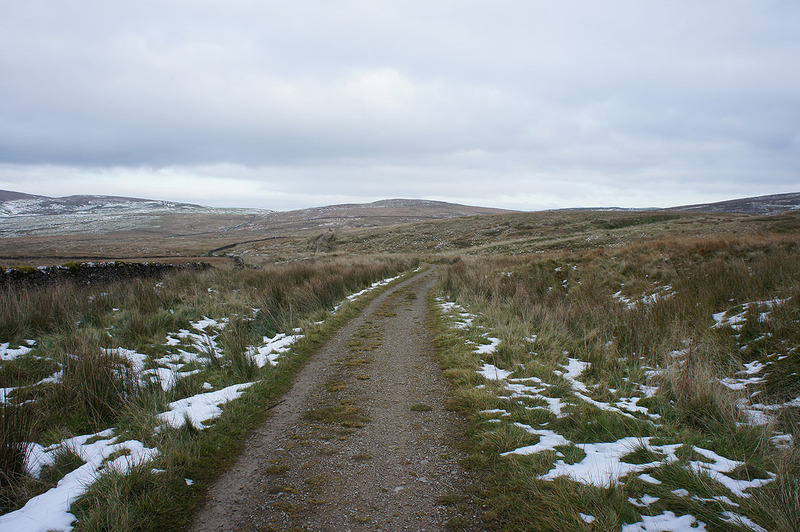 The bridleway joins Stockdale Lane just past Stockdale Farm and at the first left hand bend I took the footpath on the right. 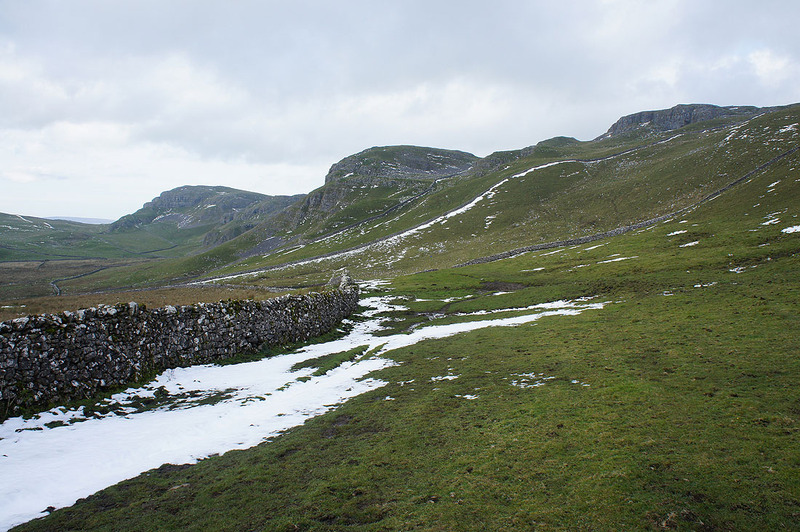 This passes beneath Attermire Scar and when I reached the gap between Attermire Scar and Warrendale Knotts I followed the path round to the right and uphill. 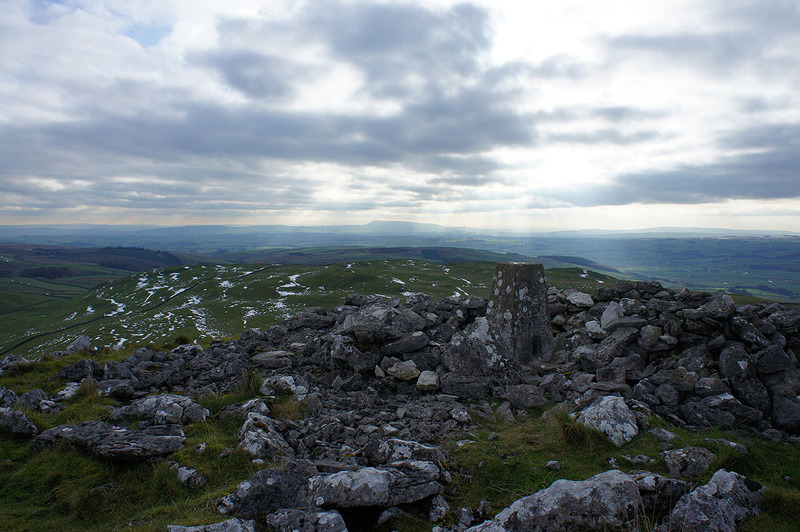 I made a detour to the trig point on Warrendale Knotts from here (worth it if you have the time). 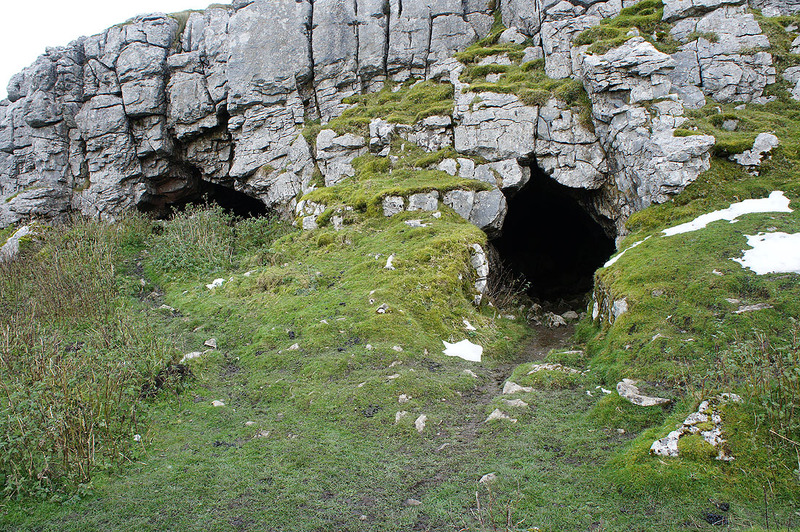 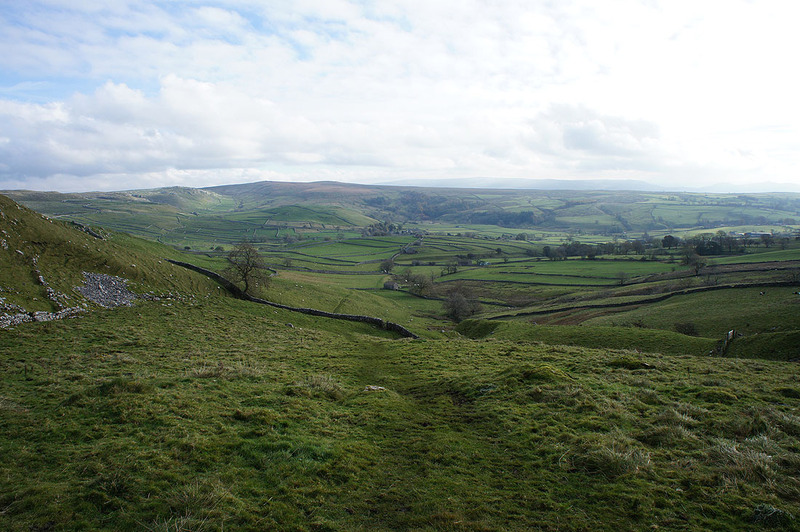 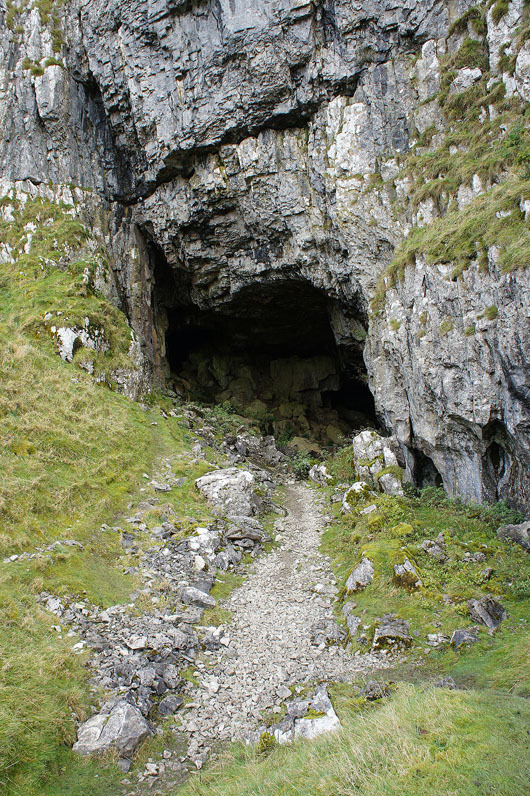 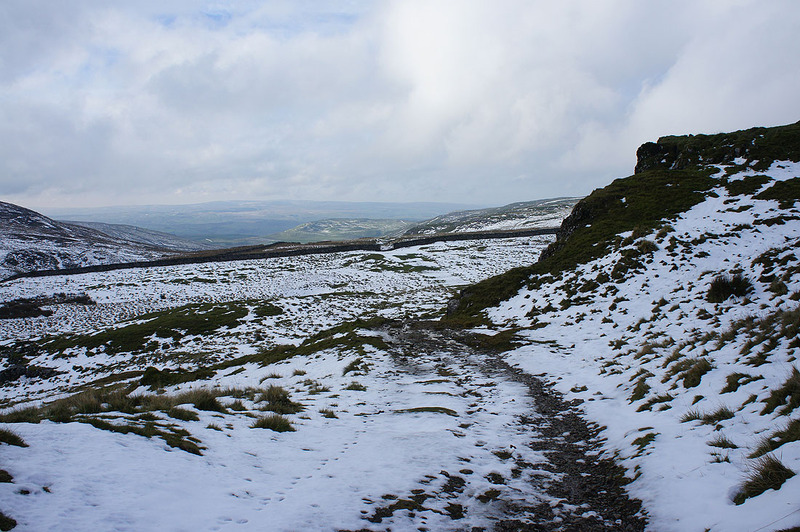 Once back on the path I continued heading north past Victoria Cave and Jubilee Cave to pick up the Pennine Bridleway. 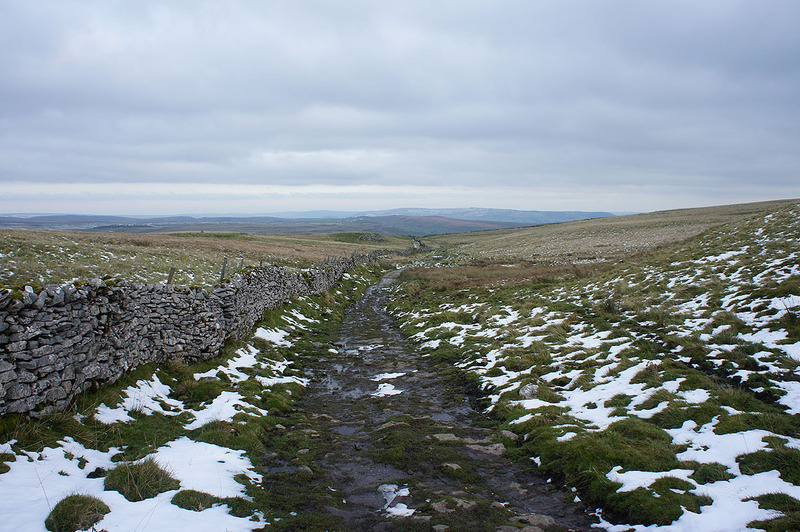 This took me back east across the moors to Langscar Gate on Cove Road and after crossing the road a footpath took me to the top of the dry valley of Watlowes. 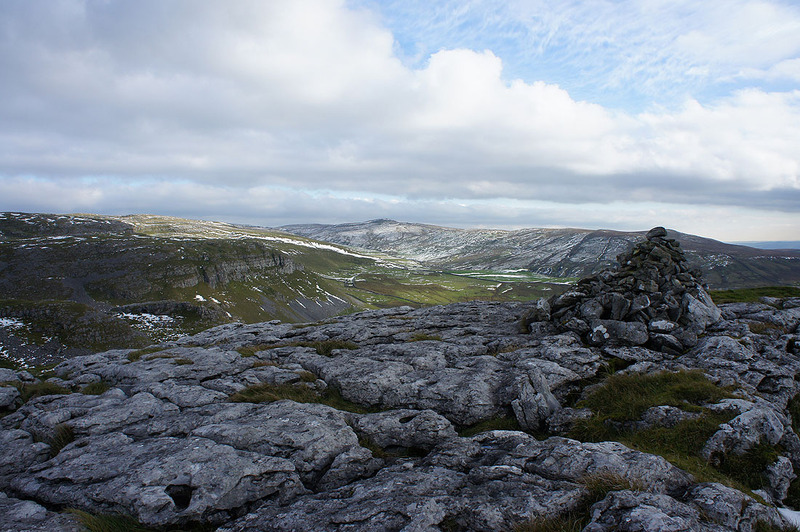 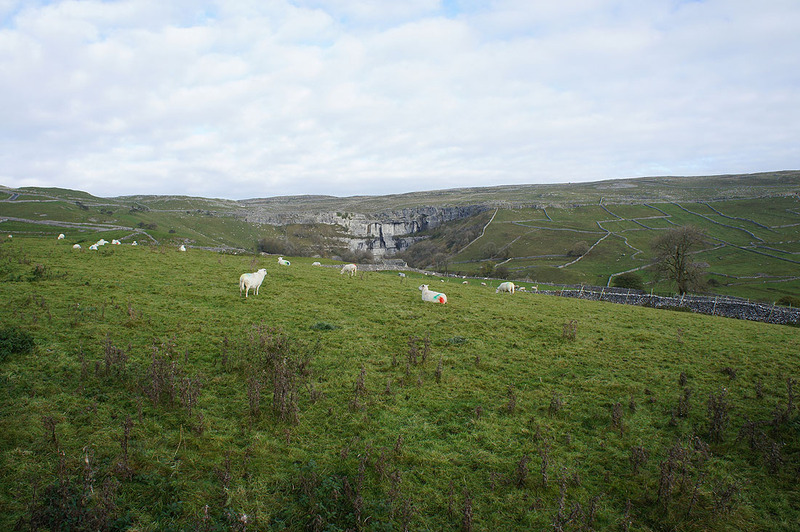 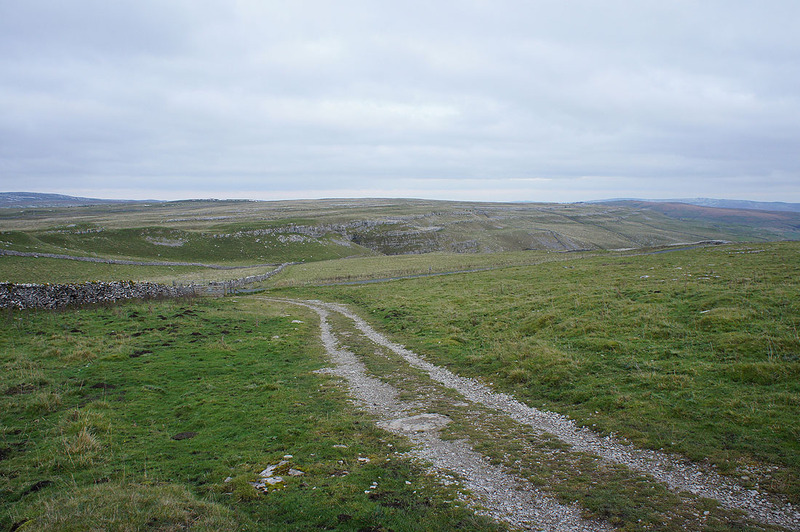 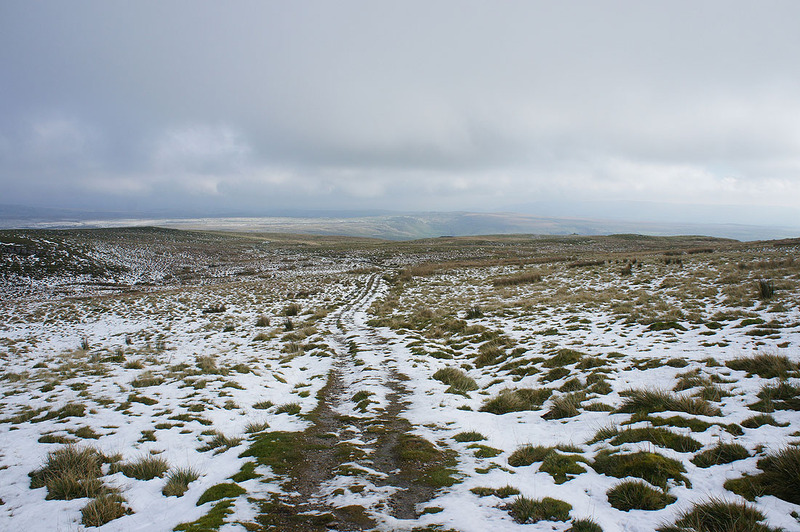 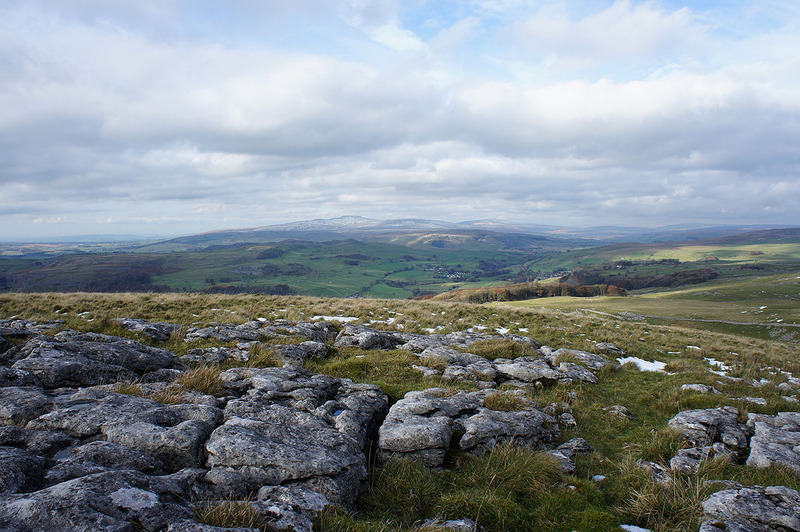 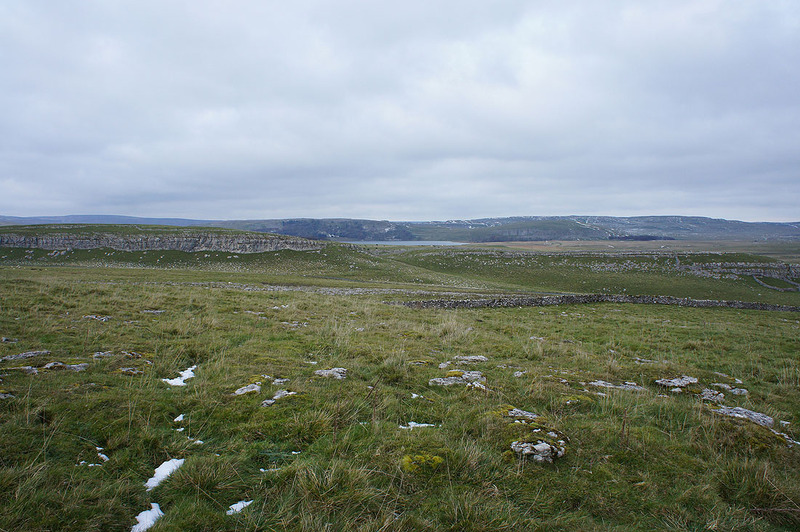 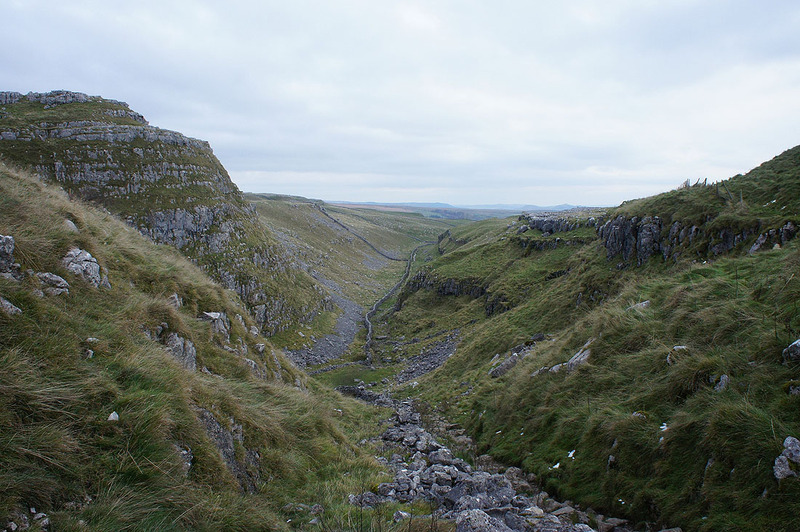 Here I joined the Pennine Way and this trail brought me to the top of Malham Cove and back to Malham. 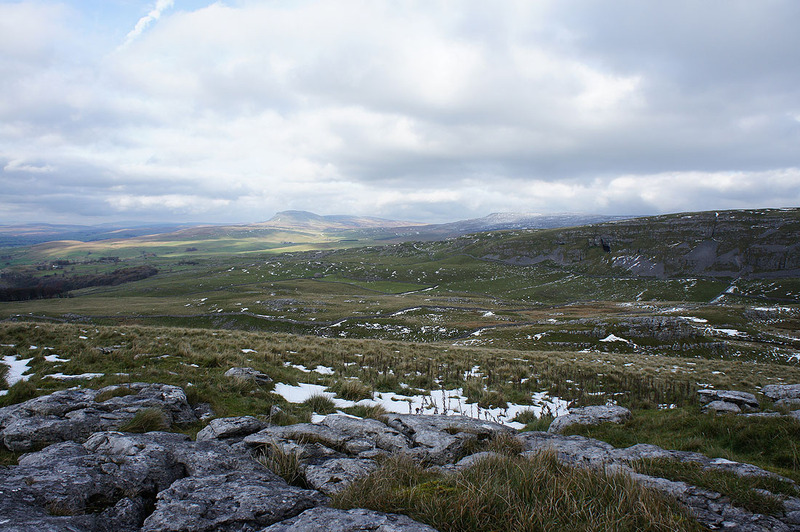 Looking back across the moors towards Goredale Scar as I join the bridleway to Ribblesdale. 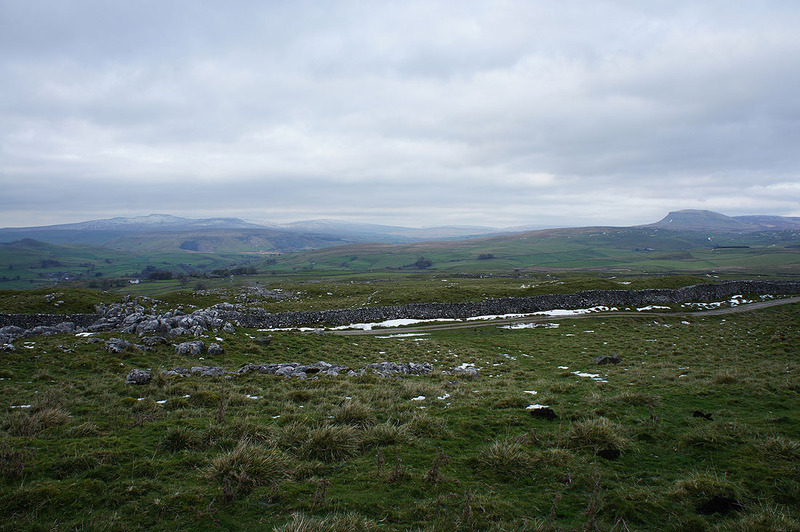 It feels a bit bleak with it clouding over. 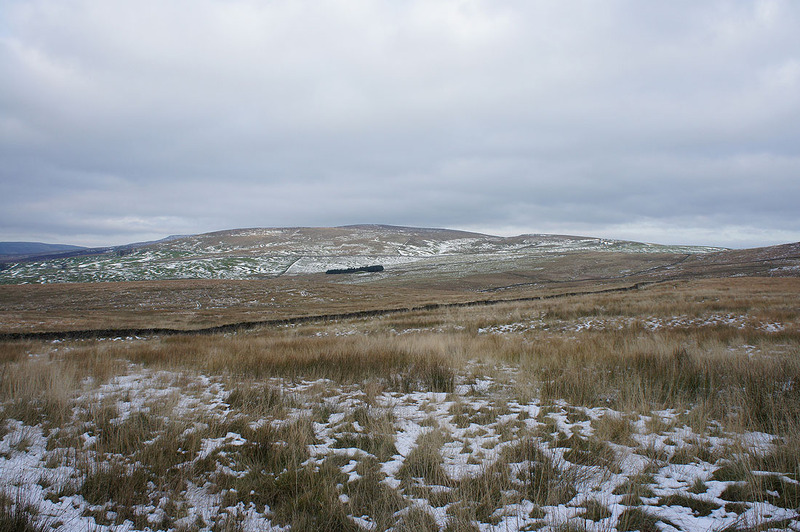 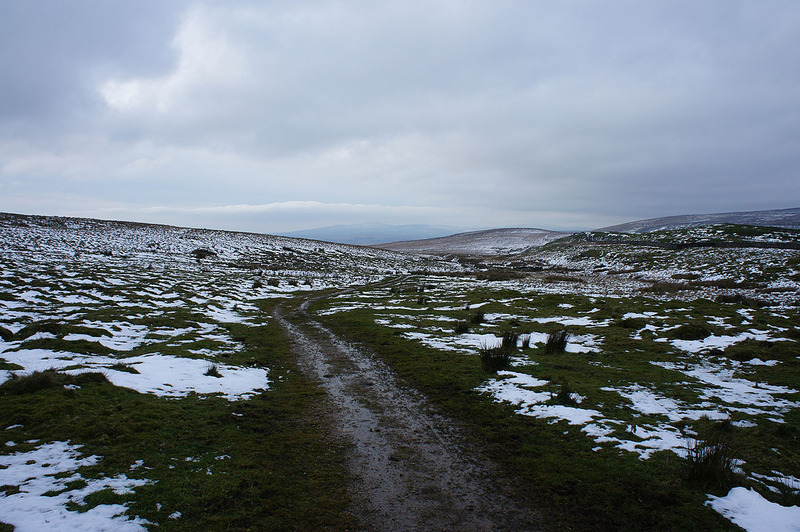 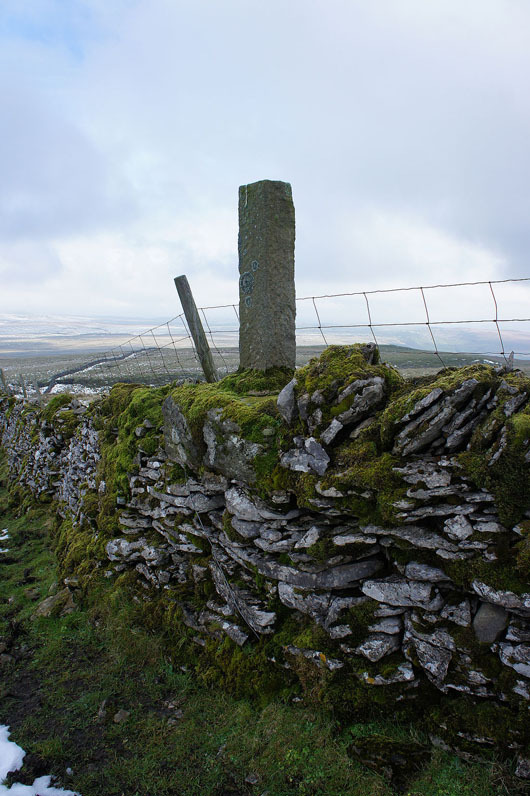 The fells of the Forest of Bowland to the southwest. 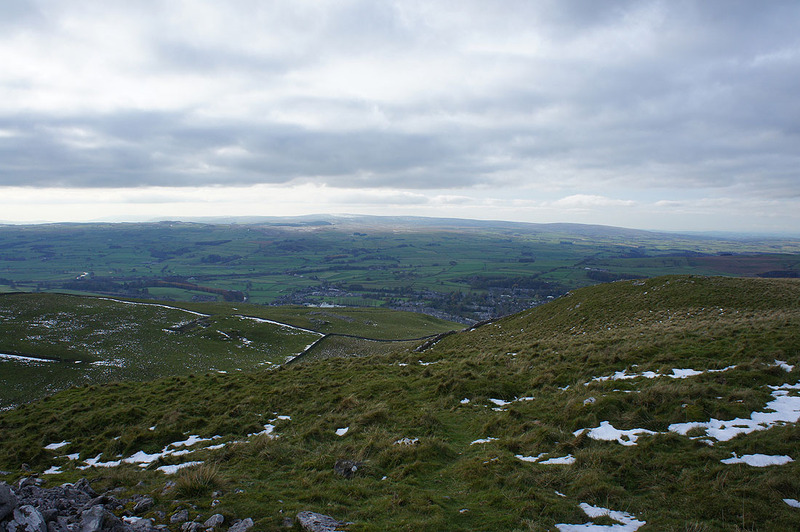 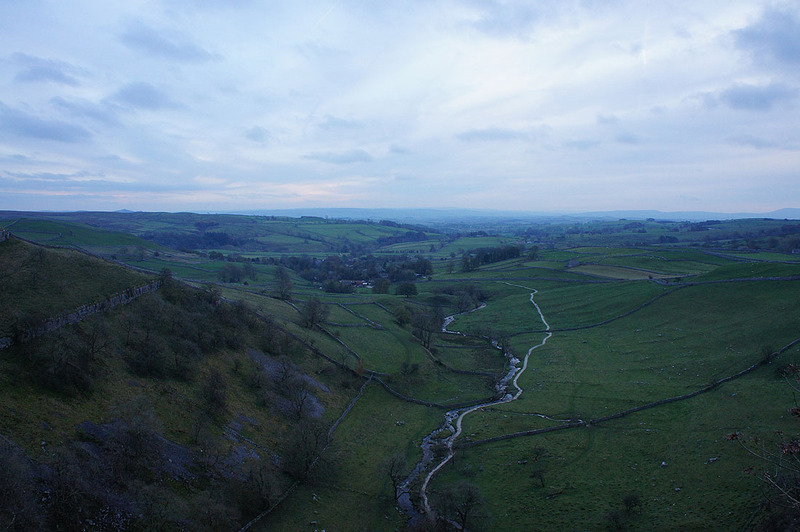 A bit of Settle can be seen in the valley below. 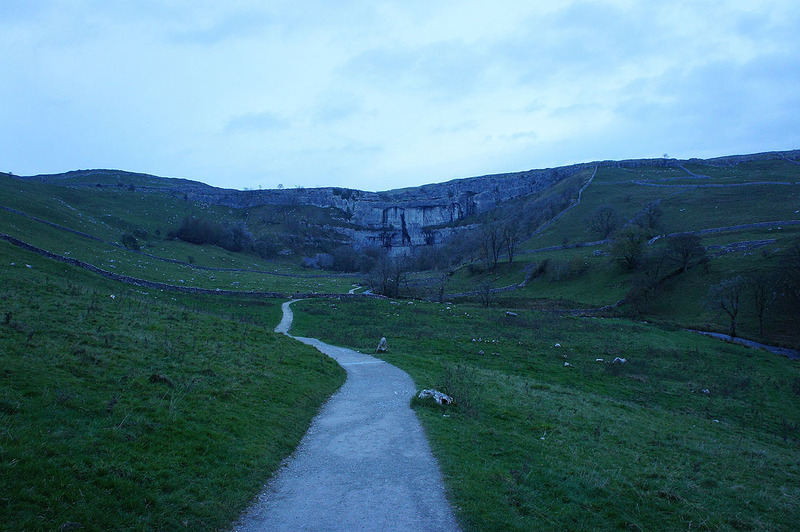 Malham Cove as I walk back to Malham in the last of the light..